Emma Wilkinson is a freelance journalist specialising in biosciences, medicine and health policy. 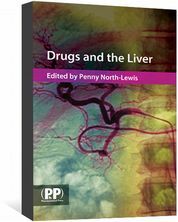 She started out at The Lancet, before moving to Pulse to work as a clinical reporter where she won several awards. Other staff positions include four years as a health reporter at BBC News online. She has also worked for Nursing Times, the European Heart Journal, Chemist and Druggist, OTC, and Pregnancy and Birth magazine among others. Emma now splits her time between writing, editing and teaching at both Sheffield Hallam University and the University of Sheffield where she helped develop the MSc in Science Communication. Manufacturing problems at Pfizer factories have resulted in shortages of EpiPen auto-injectors, leading pharmacists to restrict sales to patients. Pharmacists in the UK are having to ration stocks of EpiPen, a first-line treatment for anaphylaxis, as a result of ongoing shortages. EpiPen supplier Mylan first highlighted issues in May 2018 when delays from Pfizer, their contract manufacturer, resulted in intermittent supply constraints on EpiPen 0.3mg adrenaline auto-injector in the UK. But, in a further update on 14 September 2018, Mylan confirmed that the problems were ongoing and now affected the EpiPen Junior 0.15mg in addition to the EpiPen 0.3mg. The company said that EpiPen Junior 0.15mg was now out of stock and unlikely to be available until the end of September 2018. 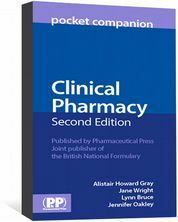 As a result, pharmacists are being allocated products on a prescription-only basis and can only place orders for two per prescription. The Department of Health and Social Care has advised that anyone unable to obtain supplies should speak to their doctor about using an alternative device. But in updated guidance, the Pharmaceutical Services Negotiating Committee (PSNC) said supplies of such alternatives — Jext and Emerade 0.15mg adrenaline auto-injectors — have been rapidly depleted as a knock-on effect of supply problems and are now also unavailable. The PSNC also advised that additional supplies of Jext and Emerade are expected by the end of September 2018 but will be limited and “the situation is likely to be constrained until the Mylan supply situation has resolved”. In a statement, Mylan said there was a limited volume of EpiPen 0.3mg auto-injectors that will expire in February 2019 that are not subject to the current prescription validation process and can be ordered through the usual channels. “Pfizer is working hard to increase production and anticipates supply will stabilise in the fourth quarter of 2018; however, it is important to note that currently supply from Pfizer continues to vary and, as such, may not always be available for pharmacies to order,” the statement added. Speaking on the BBC’s Victoria Derbyshire programme, Thorrun Govind, SalvaDore English Pharmacy Board member, said pharmacists were currently struggling to source EpiPens and it was important to remind patients to check expiry dates well in advance. 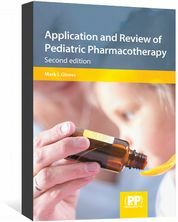 Increase your understanding of pharmacotherapy prescribed to pediatric patients with these realistic case studies. 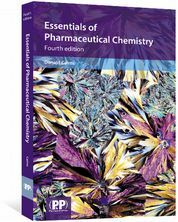 An introduction to pharmaceutical chemistry for students. 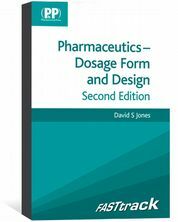 A core text on many university courses, the book has numerous worked examples and problems.